Garden Raising @ Ellington Community Food Forest! We have 40 trees to plant! Welcome to our real LAST fall garden raising of 2017!! Music and snacks are provided! Come join us for the fun! This is a family-friendly event, and all are welcome. 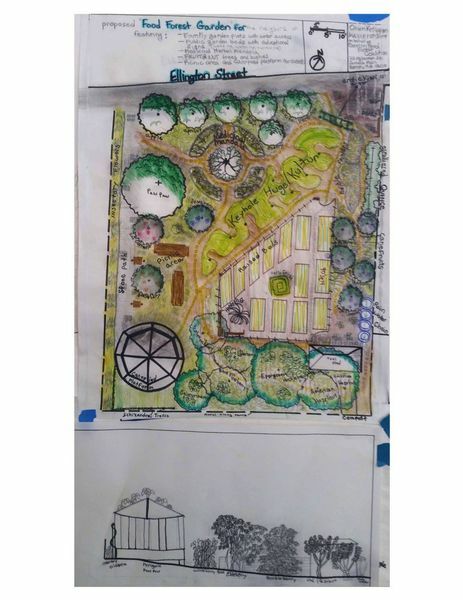 Come help us transform the vacant lot at 103 Ellington Street, Dorchester 02121 (https://goo.gl/maps/Z9hgktE5xJs) meet the neighborhood stewardship team and the neighbors planning and building this community food forest. We’ll be gathering with Ellington Street neighbors to learn about and practice late fall fruit tree planting! We’ll also be spreading wood chips and compost, so plenty for all to do. *YOU DO NOT NEED TO ATTEND THE WHOLE EVENT! Everyone is welcome, and you are free to come and go as you please. *No experience is necessary. This is a great chance to meet and connect with others in the community, learn about permaculture, and pick up on great gardening practices!! If you have gardening gloves or tools, we would love for you to bring them. We will also be providing several gloves, shovels, and two wheelbarrows. Feel free to message us or post here with any questions! Please note that this garden space is under construction and not accessible to people with mobility impairments.